The Committee of Inquiry (COI) proceedings into the SingHealth cyberattack have highlighted important learnings about the threat actors in the evolving cybersecurity landscape, as well as many critical areas of improvement for IHiS. We are determined to strengthen our organisational structure and processes, increase oversight on compliance, and close the gap between policy and practice. Team Lead in the Citrix Team and a Security Incident Response Manager, the two fired employees, were accused of negligence and failure to perform actions that contributed to the scale of the data breach. Additionally, while Citrix Team lead possessed the technical knowledge, he lacked in attitude towards security, failed to manage the affected servers correctly and did not escalate the issue to the CSA, despite the warnings from his staff. The Ministry of Communications and Information published a 454-page report on 10 of January 2019 which outlined 16 recommendations regarding the attack. It was based on the testimonies of Singapore's Cyber Security Agency (CSA), and the involved organizations – SingHealth, IHiS, and others. The incident was attributed to the vulnerability in the network that hackers managed to exploit. Additionally, SingHealth's network and databases were reported to have several weaknesses and misconfiguration. More precisely, the flaw was located in Citrix servers and SCM database connectivity, which was used for several administrative tools deemed to be unnecessary. According to the report, if these applications would have been configured correctly, the entire incident could have been avoided. Finally, the research also found a coding vulnerability in the SCM application that explained why hackers managed to access the database so easy. Furthermore, the admin-level access was not protected by two-factor authentication. 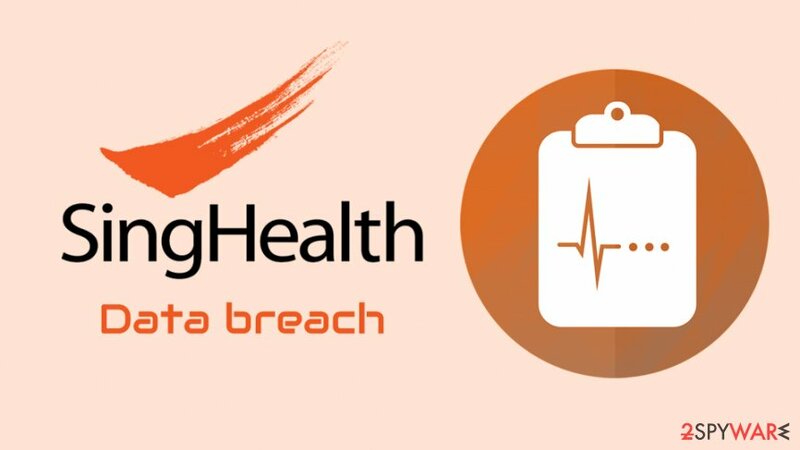 SingHealth's data breach was the biggest in Singapore's history, the hackers managed to access names, addresses, dates of births, NRIC numbers, and other sensitive data that affected 1.5 million patients. Additionally, medical records of 160,000 people were leaked as well, including those of Prime Minister Lee Hsien Loong. ^ Jake Doevan. 1.5 million patients' data stolen in the biggest Singapore cyber attack. 2-spyware. Cybersecurity and spyware news. ^ IHiS Committed to Improving Cyber Defence in Healthcare. IHiS. Integrated Health Information Systems. ^ Public Report of the Committee of Inquiry (COI) into the cyber attack on Singapore Health Services Private Limited Patient Database. MCI. Ministry of Communications and Information. ^ Matthew Mohan. PDPC fines IHiS, SingHealth a total of S$1 million for data breach following cyberattack Read more at https://www.channelnewsasia.com/news/singapore/ihis-singhealth-fined-1-million-data-breach-cyberattack-11124156. Channel NewsAsia. Breaking News, Singapore News, World and Asia. ^ PDPC Imposes financial penalty on both IHIS and SingHealth. PDPC. Media Release. This entry was posted on 2019-01-15 at 07:00 and is filed under News, Security.